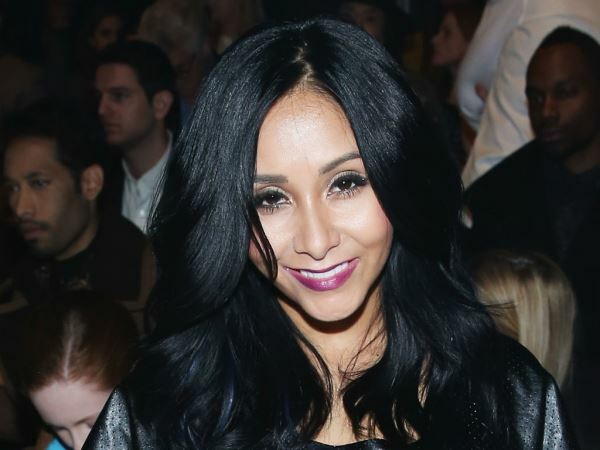 Nicole ‘Snooki’ Polizzi has done away with carbohydrates. The 27-year-old former Jersey Shore star works out with personal trainer Anthony Michael a minimum of four times per week for sessions lasting between 45 minutes to an hour. And Snooki is also partaking in his customisable meal system Anthony Michael Fit Food to ensure she takes in the protein and vegetables required to maintain her vigour. "You don't have to do anything but heat them up," she told People magazine of how easy the pre-packaged meals are to make. "I eat a lot of grilled chicken and vegetables. He also gives me a turkey burger, which is really, really good." Although she eats Fit Food often, Snooki also prepares meals herself. She specialises in quesadillas and pasta dishes featuring her signature homemade sauce. "And salad is always on the menu with whatever dish I am making," the brunette noted. Snooki is mother to two-year-old son Lorenzo and eight-month-old daughter Giovanna. She shares her children with fiancé Jionni LaValle and Snooki is frustrated with how easy it is for him to stay in shape. "Jionni is more of, like, the lazy type," she joked. "He doesn't really need to work out, and if he does work out, he'll lose like 10lbs in one day. It's so annoying." But even though Jionni may not want to hit the gym with his fiancée all the time, Snooki doesn’t mind. She works out with people who motivate her. "I train with my sister-in-law," Snooki said. "We basically do weights every single day and we target different areas. Whether it's biceps, shoulders, abs legs, each day is a different thing and it's fun to do it together as much as we can."